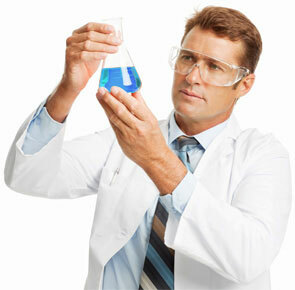 Water Based Glues and Adhesives are safe and offer longer open times. 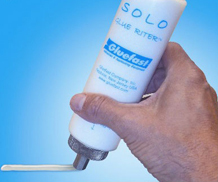 They can be applied with a simple squeeze bottle, our SOLO GLUE RITER®, or our P.A.T. (Pneumatic Adhesive Tank). You can use a low cost vegetable glue which will set up in about a minute. One of our faster setting water based resin adhesives will set up faster (generally 10-30 seconds) and may provide greater water resistance. These products can be applied with a brush, extruded into a bead, or sprayed. 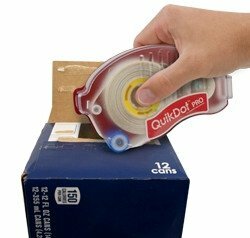 At Gluefast, we apply glue to cartons and then use plain paper tape to quickly seal the case. 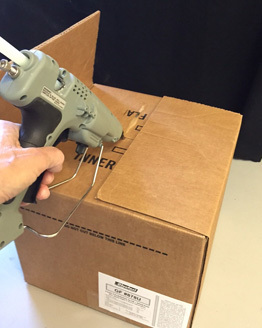 The glue then dries and forms a very strong bond – stronger than the corrugated itself! For faster setting case and carton sealing, the speed of set of Hot Melt Adhesives are much faster than water-based adhesives. Our Hot Melt Glue Guns and Glue Sticks can quickly apply hot melt adhesive for bonding with compression times as low as one or two seconds.